Well, I do like using as much simple and natural ingredients in skincare products. However, making a truly terrific product might require quite a lot of money and time, which is usually unavailable to the (mostly) smaller companies producing natural based skincare products. Jurlique is one of them. I do give them much props for trying to use very basic natural ingredients as the active ingredients in their product. Pretty good feat in the current synthetically-driven active ingredient use that is typical of the industry. However, it is definitely the lack of aesthetic achievement that makes this product perform poorly. The product is certainly no fun to use. It comes out runny and certainly feels more on the slimy & oily side. Unfortunately, this slimy feel doesn't go away. This product fails on both accounts. But keep trying Jurlique. If I had a suggestion for Jurlique, it would be this . . . STOP trying to have such a broad line of products. Just focus on a few of your products that you can truly stand behind and then others will too. Too often, companies feel like they have to have a huge line of products to compete with others in the industry. Customers want products that work and are of high quality, this in turn will keep the line successful. Expand the product line gradually, all products should meet the same high standards. Yep, their products are pretty average. Most smell great, but that's not nature your smelling - it's the synthetic fragrances they've added and called 'nature identical'. Remember their old packaging used to advertize 'no synthetic fragrances'? It was bolony - they haven't changed anything, just the packaging. I was pretty upset when I found out because I was a die-hard fan of Jurlique. I've been a user of Jurlique products for years with great results. 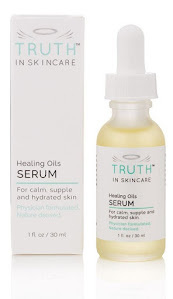 This is one of the few (the other being the original Face Oil) products that I was not a fan of. I too found the texture unappealing and the scent off. I now use the Day Care Face Cream. It is pretty light for a cream, not too greasy with a pleasant, clean fragrance.